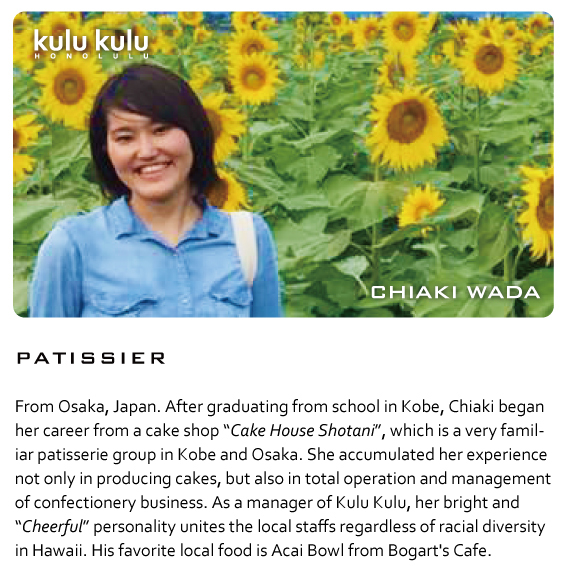 "Japanese Style Cake Shop in Hawaii"
In Japan, just about every child grows up with a favorite little pastry shop in his or her home town. 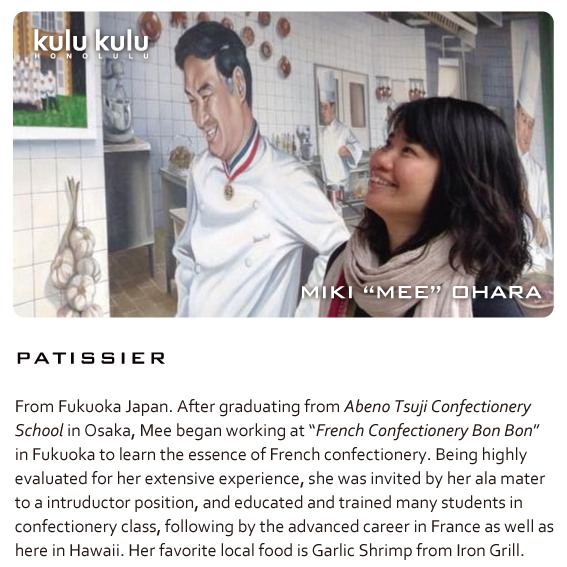 Invoking this sense of nostalgia, Kulu Kulu brings to your life the magic of a "mom-and-pop" boutique patisserie with a team of experienced and talented chefs. 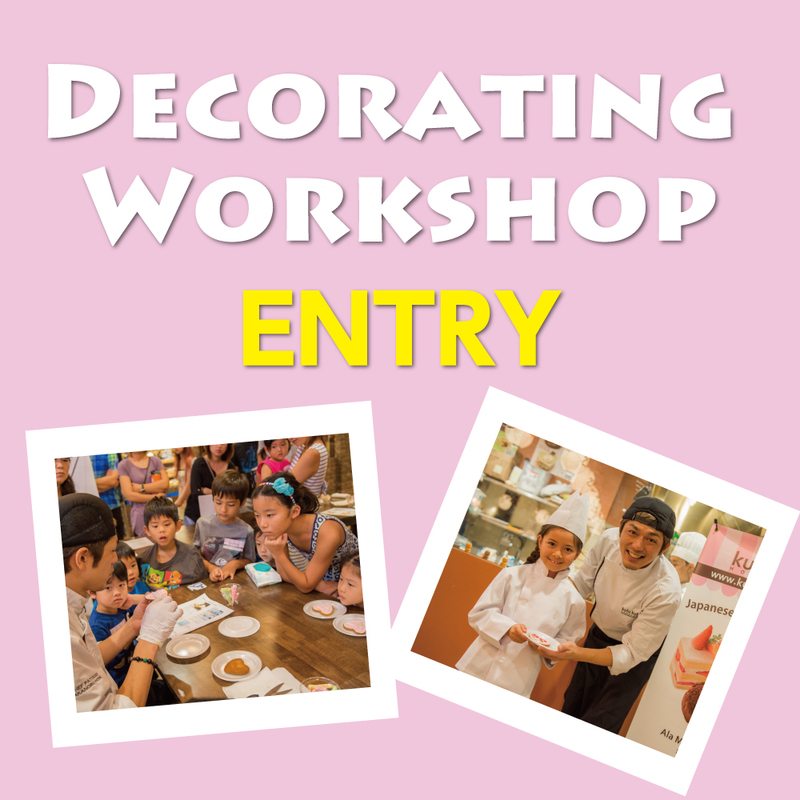 Customers of all ages can watch with captivation the pâtissiers creating scrumptious desserts in the open kitchen at Ala Moana Shirokiya brunch. 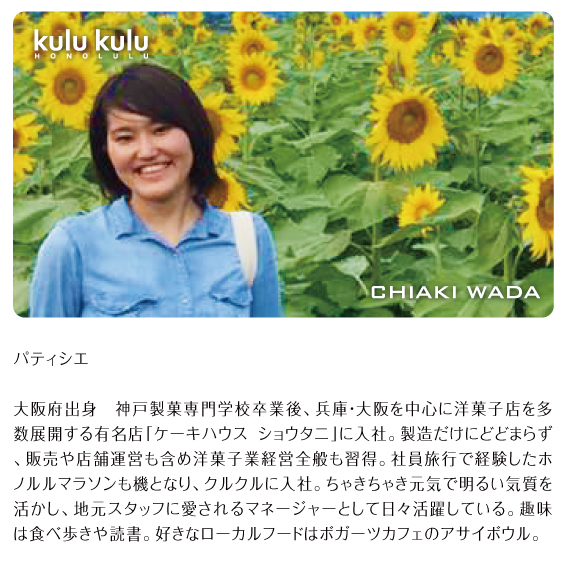 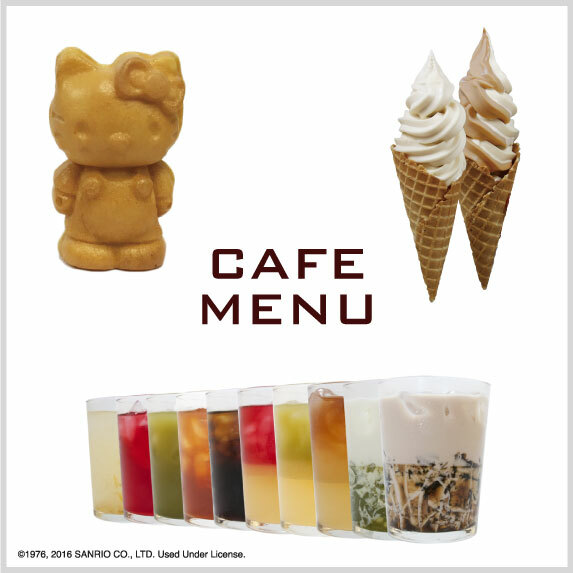 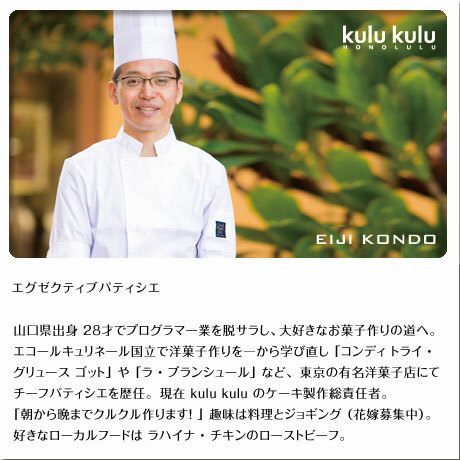 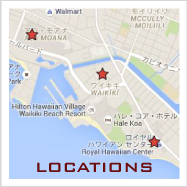 Here in Honolulu, why don't you enjoy typical "Japanese Style" cakes at Kulu Kulu. 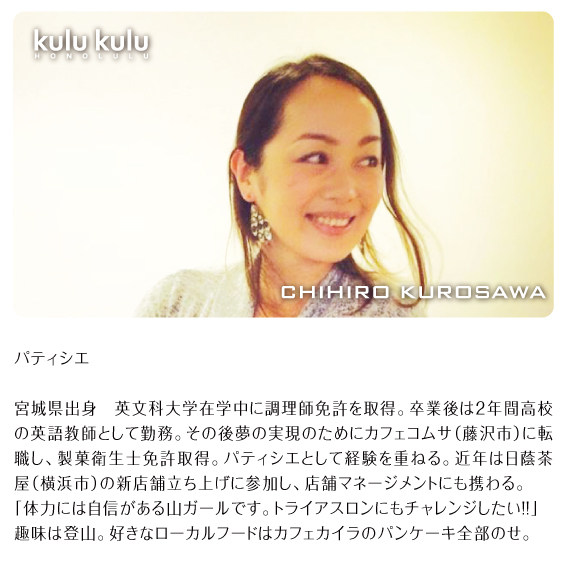 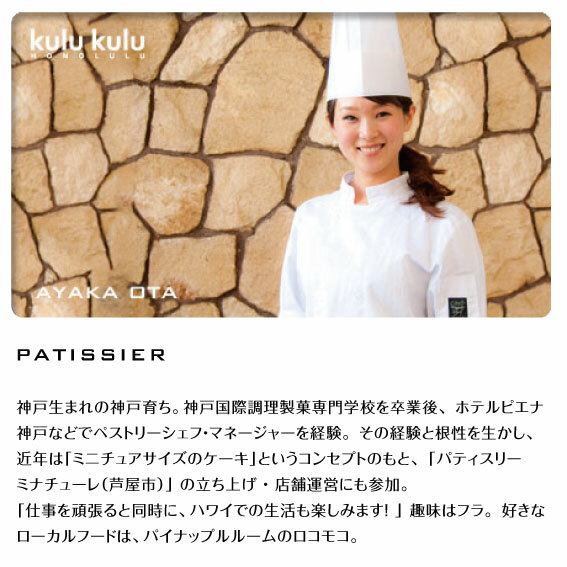 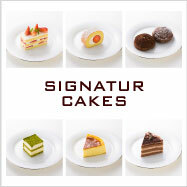 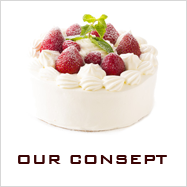 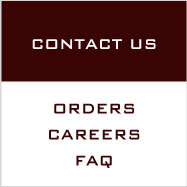 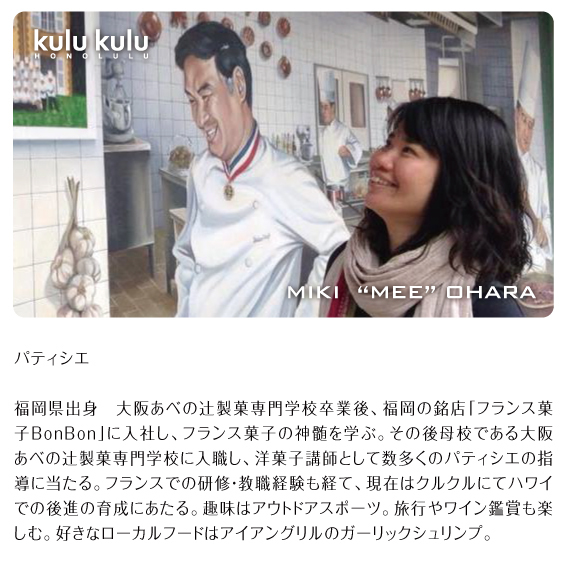 Kulu Kulu Cake is proud to showcase the artistry and finesse of their skilled pâtissiers from Japan. 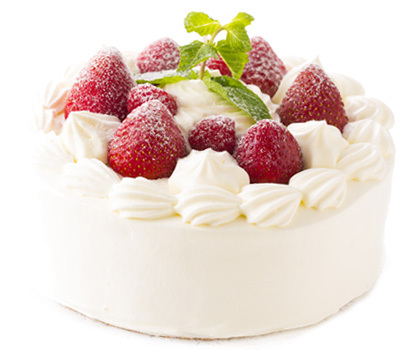 Catch them in action as mouth-watering strawberry short cakes, green tea tiramisu, soufflé cheese cakes, Diamond Head chocolate puffs, and their signature roll cakes come to life right before your eyes.